The aim of the game of dodgeball is to avoid being hit by foam balls thrown by the opposing team. 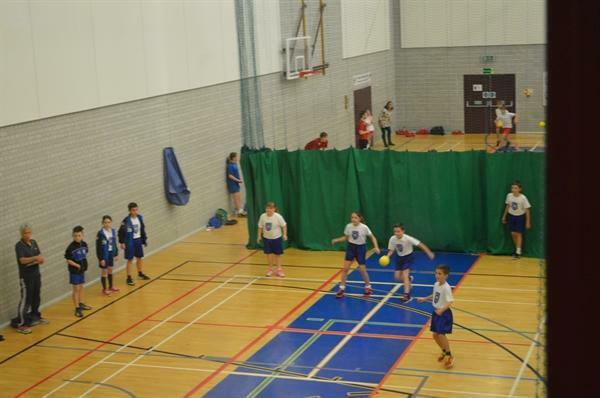 The dodgeball club has been very popular after school on Mondays and 11 club members were lucky enough to travel to Braintree College on Friday to play in the Level 2 dodgeball tournament. St. Andrew's team started incredibly well with 2 decisive victories against Lyons Hall and Rayne. Sam Bell and Ben Styman-Heighton were very effective captains, organising their players well with clear instructions and good tactical advice. The competition then became very intense. 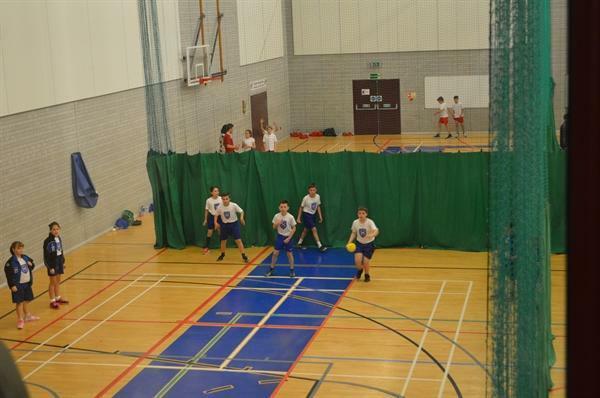 We narrowly lost to St. Michael's and were then defeated by White Court, the 2 teams who went on to contest the final. The remaining matches swung first one way and then the other as the balls whizzed from end to end. St. Andrew's soon found their best form again and finished on a high with a series of great catches and strikes by Bradley Cattermole. Well done to Sam Bell, Rosy Bird, Chloe Burtenshaw, Bradley Cattermole, India Hook, Joel Hull, Ben Johnstone, Tom Leader, Eleanor O'Neill, Liam Polley and Ben Styman-Heighton on a most energetic and ent ertaining afternoon of sport.